You probably weren't in need of additional evidence that things aren't exactly going great for Bill Cosby. 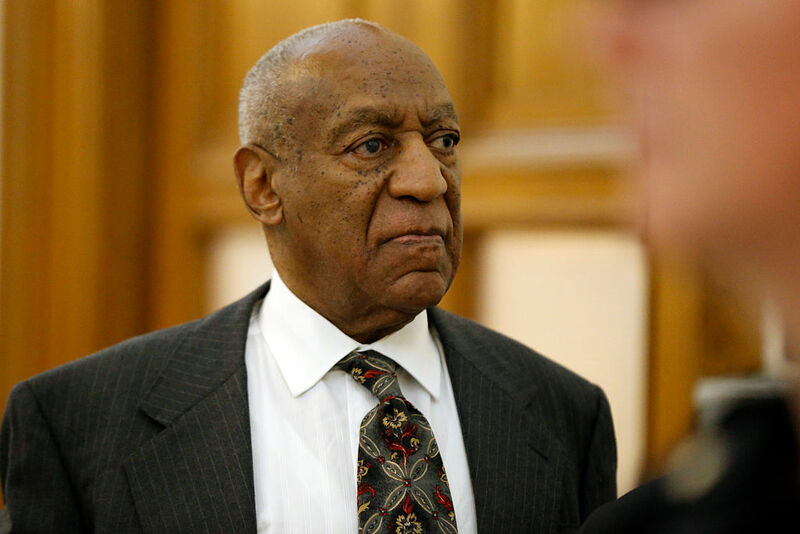 He's currently in prison, serving a 3-10 year sentence on charges of sexual assault, and now he and his wife Camille Cosby are looking to shore up their capital reserves. The first step? They've sold a valuable piece of their extensive art collection. Step two? They've taken out a loan against their vast art collection which has been described as one of the best in America. Exactly how much the Cosbys got for this week's painting and the collateral loan is not a matter of public record, but earlier this year they were reportedly looking at an estimated $40 million in legal fees and other obligations connected to Bill's case, a number that has almost certainly gone up since then. We do know which paintings were put up for sale and borrowed against, however, and both are by acclaimed artist Thomas Hart Benton. First is Going West, which the Cosbys are reported to have sold earlier this year and which will soon be part of an exhibition on Benton at the Surovek Gallery in Palm Beach, FL. The second is called The Instruction, and it was recently offered up as collateral for a loan from an art finance firm owned by one Asher Edelman, who confirmed the loan (but not its amount) to the press. Together, both The Instruction and Going West are estimated to have a combined value of $12 million to $14 million, while Benton's own auction record goes to the 2015 sale of his Ozark Autumn piece, which went for $4.9 million. According to a 1978 Jet article, Cosby paid $105,000 for The Instruction some 40 years ago. The Cosbys' art collection began way back in the 1960s, and has grown to include more than 300 works, including some by Renoir, Rembrandt, Picasso, Matisse, and many others. Some of these paintings have been on display at the Smithsonian's National Museum of African Art, which resulted in some controversy for the museum as accusations against Cosby continued to grow. It's not inconceivable that, depending on the art market, the Cosby art collection could be worth hundreds of millions of dollars. If he needs more money, Bill also owns a vast real estate portfolio that's easily worth over $100 million. He has large properties in Pennsylvania and Beverly Hills. His estate in Beverly Hills alone could be worth as much as $60 million ,based on comparable recent sales. Potentially closer to $80 million.